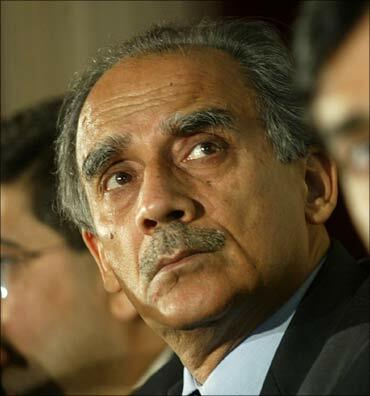 Mr Shourie, wittingly or unwittingly, did you as telecommunications minister facilitate A Raja's scam? That is absolute bunk. The dates are changed. Monies are collected. The priority lists are changed. This is facilitated by anything that anyone of us did? Okay! Let's come to the details so that you can respond fully. 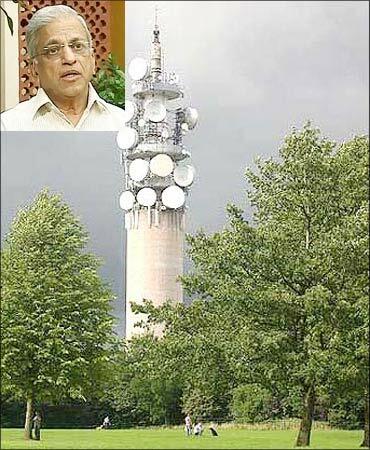 Justice Patil's report suggests that as telecommunications minister you not only ignored, but you contravened a specific Cabinet decision of the Vajpayee government taken on October 31, 2003 which in turn endorsed a Trai recommendation that all new entrants into 2G should be by the multi-stage bidding process. Instead, you opted for 'first come, first serve'. No, no, my friend. You're right. 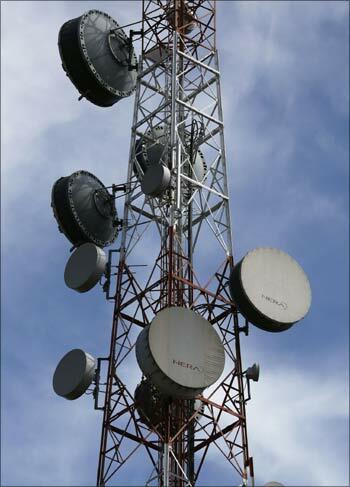 The Cabinet decision is to go according to the recommendations of Trai. And the Trai recommendations, I have the report here and it's called 'Recommendations on Unified Licensing'. All your viewers can go to the website of Trai now and look at this report in the entry for October 2003 and in the paragraphs they will see Trai considered three alternatives. First one was bidding and they rejected it. They said don't do bidding at this stage and in this period till a universal licensing system is introduced which has not been introduced till this day. The second one was that you can do with what the basic operators are doing and they rejected that. In the third thing in paragraph 7.19 they say: It is recommended that the 3rd alternative as mentioned in paragraph 7.18 is the one you should accept. 7.18 said don't do bidding. Go by the price paid by the fourth cellular operator. This recommendation of Trai was re-iterated by them, not by Baijal personally, but by Trai in three subsequent communications to the department. So the third recommendation, and I am spelling this out for the audience was that you stick to the old pricing? 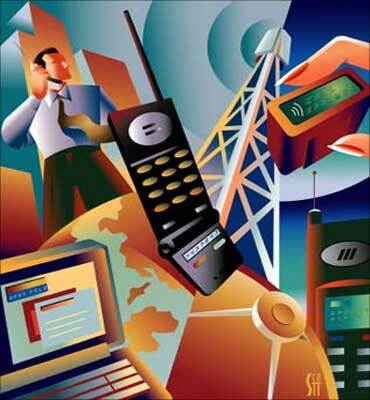 To the pricing as discovered by multi-stage bidding for the fourth cellular licence. Which means you stick to the process that had been established already. Not only the process but the figure which has been established. And this is precisely what the Vajpayee government on October 31, 2003 endorsed? Absolutely. Endorsed in their decision and they said the department with the approval of the minister shall work out the details of this implementation including the pricing. Now, the Shivraj Patil report says within something like three weeks of the Vajpayee government endorsing the Trai recommendations, first on November 17 and then again on November 24 you approved the formulation of procedure for grant of UASLs on the basis of 'first come, first serve' as against multi-bidding. Do you deny that? Deny? That is an absolute fabrication. This fellow Patil, he is a hand-picked judge. He gives a report convenient to the government and what does it do? It absolutely suppresses. Either he has not been given the documents. He decided I will not meet anybody who was dealing with the matter at that time. He will confine himself to the documents given to him by Kapil Sibal's little minions. And he gives this kind of nonsense. A second revelation made by the Hindustan Times on the basis of leaks made to that paper is that you, or your officials, concocted with Pradeep Baijal (then Trai chairman) a letter written on the November 11, just two weeks or so after the Trai recommendations, where Baijal so interpreted the Trai recommendations as to eliminate multi-stage bidding and to facilitate 'first come, first serve'. On the contrary man that is the damn problem with everybody, including the media. Why don't you look at the letter? The letter of Baijal. I can give it you just now. You can get your officers to do this. The letter of Baijal is in response to our query that we have now been asked to implement your decision and there are three things to be done. What about pending applications, what about existing migration applications and new applications? He reproduces the paragraphs exactly -- 7.18, 7.19 etc from Trai and says that's our recommendation. 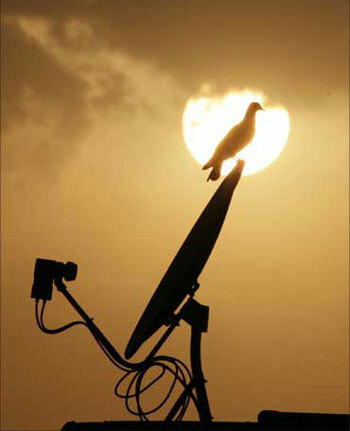 After that Trai in four different communications, Trai as a whole, not only endorses but reiterates that recommendation. 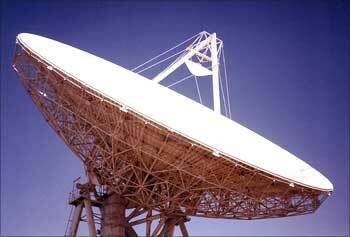 Image: Current Telecom Minister Kapil Sibal. So just to confirm, you're saying to me that the claim or the assertion that Baijal reinterpreted Trai to suit your purposes and to be different from something what Trai originally suggested, that assertion is again a lie. Absolute lie, Karan. Here is the letter if your camera can show it. Baijal letter merely reproduces what the Trai had said. It literally reproduces the paragraphs of Trai. It says look at that. That's our recommendation. What about something else? The Hindustan Times in its front-page cover story on November 9 suggests that the letter Baijal wrote on November 11, 2003 was as a result of a private conversation between Vinod Vaish, your secretary at DoT (Department of Telecommunications) and Baijal. In another words, you or your officials connived with Baijal to get the letter written. This is the swallow-and-vomit journalism of people like Hindustan Times. What do you mean? We are the ministry of telecommunications man, we can't use a telephone? I worked for five years in government. There is not a single occasion when I would have sought anybody's advice by writing or by writing to him. I'll ring him up. I'll walk up to the officer's room and I'll say look here, I need this information. Please get it for me. So a telephone call is not a proof of connivance? How can it be? Some fool on NDTV said, 'Oh! Such a big thing, telephone call, how bureaucracy works?' When did that fool work in the bureaucracy? 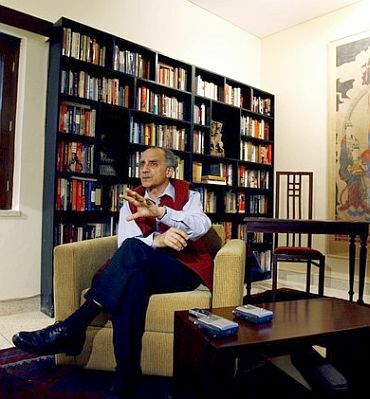 One other point made against both the Vajpayee government and your tenure as communications minister by the Shivraj Patil report is that between November 2001 and August 2003 you granted frequency over and above the start-up spectrum contrary to extant directions. 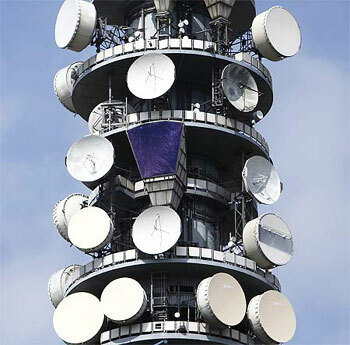 The report also says that these allocations were made without the approval of the Telecom Commission and also without the approval of the Wireless Planning and Coordination Wing of the ministry. Please get the officers here and get the whole record from the CBI and you will see that absolutely it is against my nature, against the nature of then secretary Vinod Vaish and so on to do anything contrary to any letter comma, full stop of the law. So this is a lie and libel? I don't know how he has fabricated these things. And one thing Karan, just to caution you and all other friends in the media, these are extracts given out by this fellow Kapil Sibal from that report. It's a 150-page report with, we are told, 3,000 pages of annexures. We must demand that the report be made public so that we find out that this chap is not just picking sentences here and there. In other words, this is being done to target you? No, no. Who is going to target me? I'm not a martyr. Let me repeat the wider accusation against you. The only reason this is being done is to deflect the issue from A Raja. Kapil Sibal is defending Raja and you will see the results of that. Let me repeat the wider accusation against you. The accusation is this that you wrongly established the 'first come, first serve' policy in defiance of Trai, in contravention of your own Cabinet's decision and thus set a precedent that A Raja followed. In other words, if you hadn't acted the way you did. Raja could not have taken the steps that he took and the Raja scam would have never happened. Raja, my friend. . . you know even in following procedures these fellows can make money, so don't worry. But the point here is on the 'first come, first serve' principle. 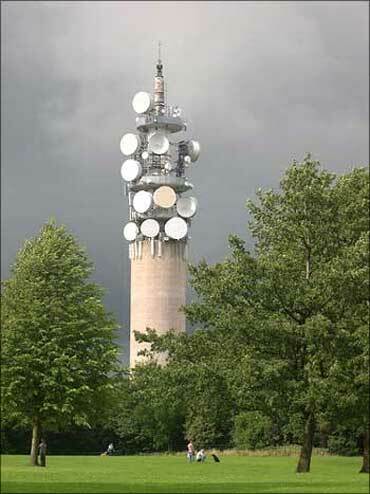 It is a principle much older than me for the allotment of spectrum and there is a statutory obligation in the licence condition alone that first you will get 4.4.MHz of spectrum. When your subscriber base increases to such and such level, you will get the extra amount by paying the specified fee. So you were following an existing policy. Not only the existing policy but also the existing licence conditions of licences given much, much earlier. 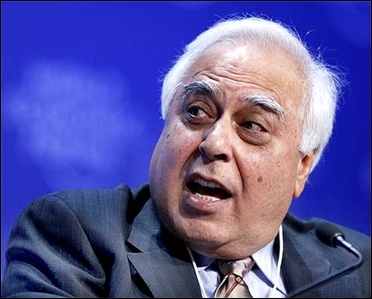 Kapil Sibal has said that the Shivraj Patil report will be given to the CBI to assess criminal culpability. Are you worried that you could end up facing criminal charges? What nonsense, man! I rang up the director of the CBI as soon as he took over saying whenever you want me, I will come. Just give me a little notice. Not only this. Day before yesterday when I was coming to Delhi, I was at the Mumbai airport, I was told by my house that there has been a call from the CBI SP and he wants to contact you and we have given your numbers to him. I said no problem. I said I am just boarding the flight now. It will land at 5:10. I will come straight to your office at 6 and because I don't need any lawyers or documents I will come to you. I'm telling your viewers, I'm telling you . . . we have fixed the date for February 21. You are all welcome to come. You have no fear of the CBI? I have been informing them. What are you saying? I gather that as far back as August-September 2009 you met the prime minister in Parliament, you gave him details of the enormous loot happening over spectrum under A Raja. You also showed him papers as proof. Tell me what exactly happened at that meeting. Actually, it was the prime minister's question day and then he would take a particular route outside, so I stood in the path that he usually takes from the lobby of the Rajya Sabha. I had the papers with me listing the front companies of Raja into which the money was going, the appointments that had been made, the brokers that are there and I said to him in Punjabi, "Dr Singh, loot is happening under the umbrella of your good name." His demeanour was as if he was saying what has to be done. I said, "Nothing much. 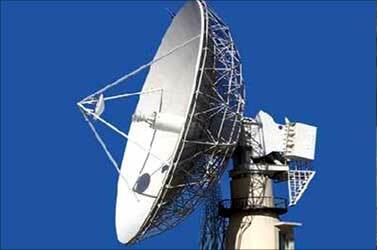 You just request Nair (principal secretary in the Prime Minister's Office TKA Nair) to contact me." His principal secretary and a very good officer. So I said that he can contact me and I'll give him all these papers and then he can proceed with the CBI. Please just tell him to give me an appointment. He (prime minister) said he (Nair) will call you. So the prime minister said Nair will call you? He said I will talk to him and he will call you. No. I waited for one full month. 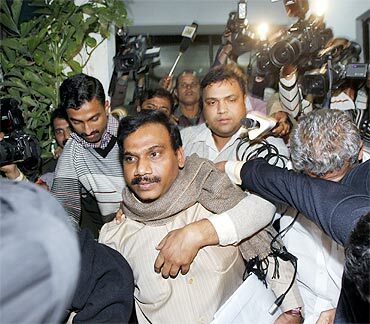 Then in October 2009 I contacted Ashwini Kumar who was the CBI director. I gave him the papers, led him through the papers, gave him the name and telephone number and the contact and the person through whom he could contact the person who knows everything and who was working with Raja. When you met the CBI director which was roughly six weeks or a month after you had met the prime minister, had the CBI director been briefed by the prime minister? No, I have no knowledge about their conversations. The director, I had known previously. But the director didn't suggest in any way that the prime minister had briefed him? No, not in this light. Which means that not only did the prime minister not arrange for Nair, his principal secretary. . .
No. It's not his job to arrange. I was pleading with him. I don't want to say prime minister should arrange meetings. But you were hoping for a meeting. 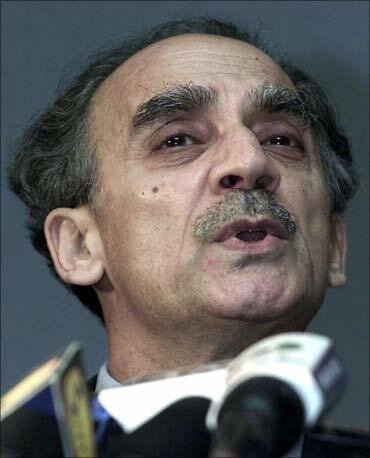 The prime minister said that Nair would contact you and that never happened. Do you suspect that the prime minister stayed the CBI? No, I can't say that in the slightest. What about this? For at least a year, Sushma Swaraj and Arun Jaitley have been accusing not only the prime minister of a cover-up but even suggesting a possibility of involvement. You had proof that at least of cover-up the PM can be accused and you didn't make the proof available. The Bharatiya Janata Party knows what I knew. The BJP knows what you knew? Sushma Swaraj and Arun Jaitley know this? I don't want to talk about BJP's internal meeting, but it is certainly my assessment that they were not interested in following these things. Even the BJP wasn't interested?